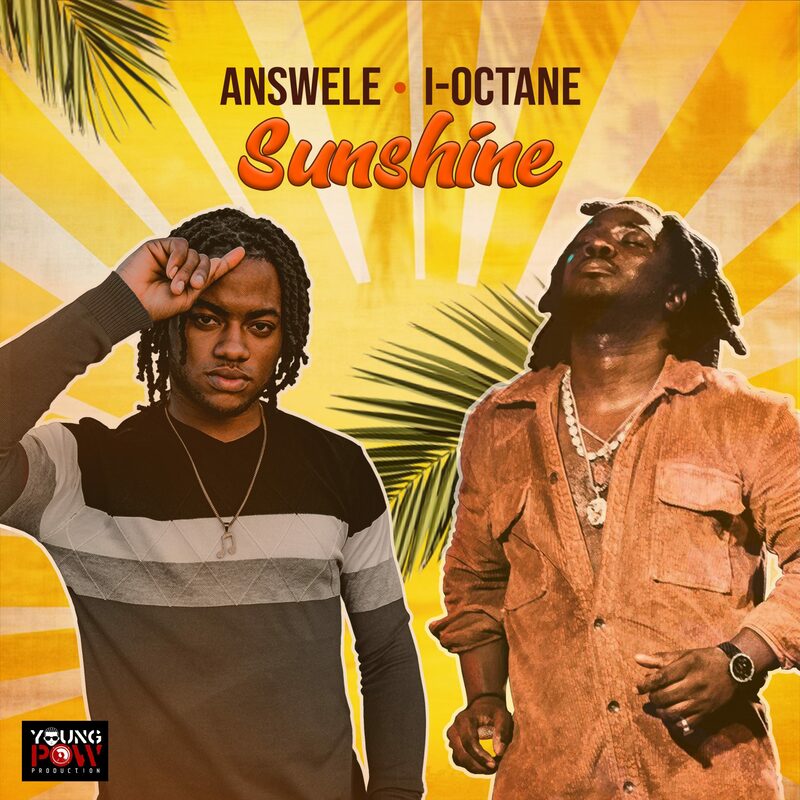 “Sunshine” is the brand new single of the versatile 20 years old jamaican singer Answele featuring the international recording artist I-Octane. The song, out from last Friday on every platform, is produced by Young Pow and distributed by Ghetto Youths Intl. “The tune represents where I am now in life – Answele said to our microphones – It’s a clear message about what’s going on in my musical journey right now. On top of that has been my song whenever I feel like I’m in a down depressive vibe”. Answele, after performing in Europe last December as open act for I-Octane Love & Life Tour 2018 promoted by Gege Vibes, has found the inspiration to compose the lyric of this song. I-Octane completed the work composing the lyric of his part. The worldwide known jamaican musician Sean Diedrick from Damian Marley’s Team, owner of Young Pow, takes care of the whole production. 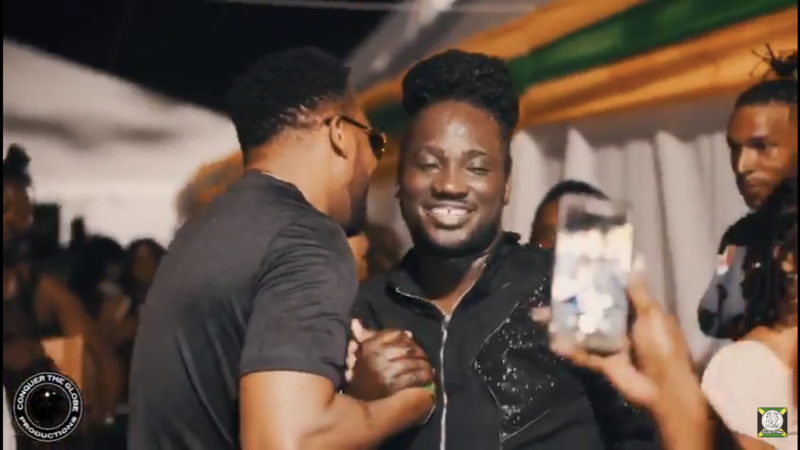 Answele explains us his feeling of happiness dropping a new single in collaboration with I-Octane: “This collaboration is a dream comes true for me. It’s a completed milestone. I-Octane’s music is and was always very impactful in my life. I rate him as a entertainer. Getting to know better him in person let alone did a song with an artist of his caliber is something big for me. I will always cherish this song! Plus I want to tell Big Up to Pow, the producer”. Answele’s career reserves many surprises for us in the future. In the meantime enjoy the listening of “Sunshine” or buy it in every digital platform. From the shores of Salento, in South Italy, production duo Papa Leu and Rankin Lele aka Adriatic Sound have built the “Italian Bomb Riddim” dropped last 25th of January 2019. The riddim itself invokes a late 90’s early 2000 dancehall vibe; a driving bass-line with a teasing, guitar heavy, steel pan tinged melody that makes a direct connection. The select crew of 3 dancehall mainstays: Bay C, Elephant Man and Anthony B, deliver equally classic dancehall performances. Fresh talent from yard is given a focus on the Likkle Charlie track, while the producers, Rankin Lele and Papa Leu themselves deliver the fifth track of the juggling. A “High Grade” track, is what Anthony B brings to the juggling, with a vibrant declaration of his sacramental use of cannabis. In “Welcome to Italy”, Elephant Man shares his love for all Italian things. From Salento to shoes, Ele is back at his lyrical best, delivering a track that captures the joyful irreverence of the south coast and connects it to his Jamaican core. 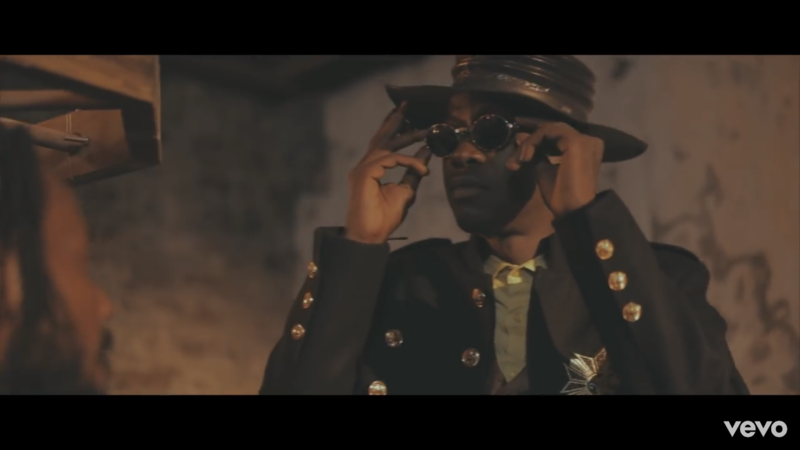 Bay C, from TOK family, similarly cross connects cultures in “Pepper Pot”, voicing his appreciation for the ladies, especially Salento’s scotch bonnet hot senoritas, in patois and in Italian! Salentino dialect is less known than patois, but Rankin Lele and Papa Leu’s delivery of “Prova Cu Te Movi” showcase it in a way that already has the streets of Salento buzzing. In a listening, the riddim gives the sense that Likkle Charlie’s “Walk and Talk” is as much an order to all listeners, as it is a playful freestyle by the relative unknown. 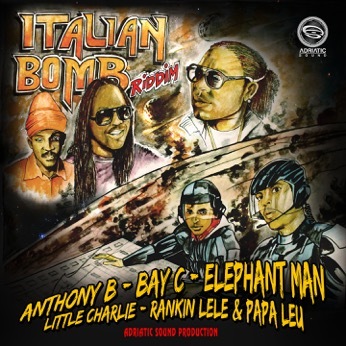 The last track of the compilation, in perfect Jamaican style, is the instrumental “Italian Bomb Riddim”, produced by Rankin Lele and Papa Leu for Adriatic Sound and arranged with the drummer Antonio “Fossa Drummer” Miglietta and the keyboardist Alessandro “Maestro” Garofalo. Recorded in Salento, in Italy between Adriatic Sound Studio and Sud Sound System Studio, and mastered by Jamoi “J-twiss” Monteith at the Clearsonix Production Studio of Kingston in Jamaica. Big tings a gwaan inna Italy!!! 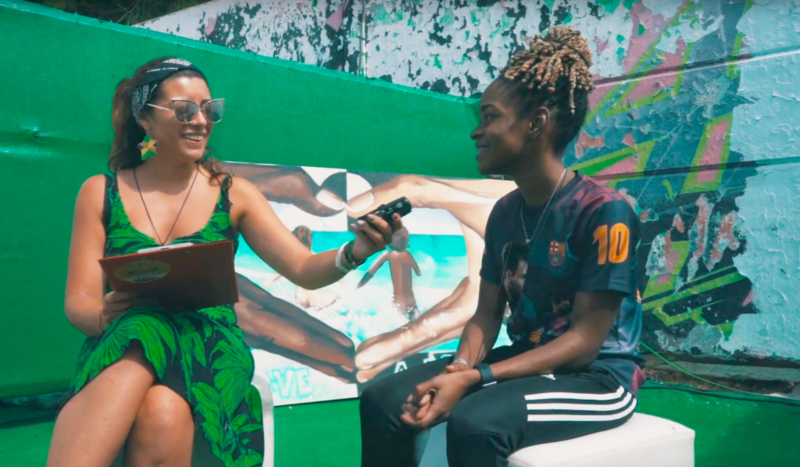 We met Konshens in Benicassim (Spain) during Rototom Sunsplash 2018, #25yearswalkingtogether Edition. We have interviewed him the day before of the performance with Dub Akom Band on the festival’s main stage. The worldwide dancehall paladin talks with us about his latest album “It feel good” out on all digital platforms since last March 2018. 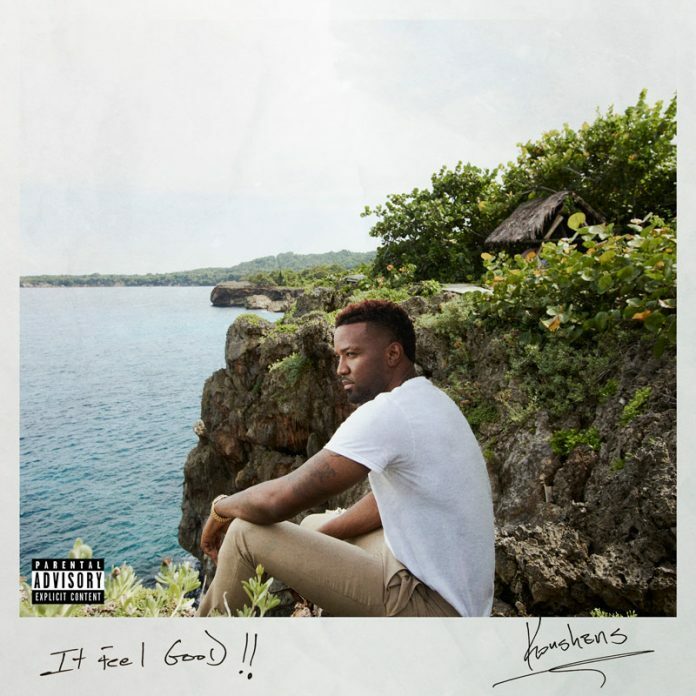 “It Feels Good” does not have a particular message behind it, but precisely aims to make people feel good by experiencing a full immersion in the dancehall’s flavors. Many producers have collaborated with his own company Subkonshus on this project: Stephen di Genius Mc Gregor, Rvssian, Record Label Empire and more. There are many mainstream and upcoming artists featured on it as well: the prestigious american rapper Rick Ross in the track “Big Belly” ft Rvssian, the jamaican veterans Shaggy in “Body Happy” and Tarrus Riley in “Mirror”, Kosa in the song “In my sleep”, the new talent Satory in “Days of my life”, Bakersteez in “Dance with Girls” and finally Chris Brown in a new remixed version of his greatest hit “Bruk off yuh back”. The featuring of this week on our web magazine is dedicated to a Jamaican hype reggae artist: I-Octane. After the release, in march 2018, of his solo album “Love and life”, he decided to self-produce a single called “Hot World” for his own label Conquer The Globe Productions. “There will be a day when I just want to ease back and watch the fruits of my labour. This label is already doing that with this song. Production is a very important aspect of the music, and when you sit back and bask in the fact that you created this art from scratch, both vocally and musically, the feeling is great,” he said to other Jamaican newspapers. I-Octane is satisfied about the positive feedbacks about this song. He believes that people can easily identify to his song thanks to the conveied message: work hard until your dreams come true, even if it happens later than expected. The track is already getting good exposure in Jamaica. After his experience as a performer on the main stage of Reggae Sumfest 2018, the biggest Reggae Festival of the World located in Montego Bay, he launched the official videoclip of “Hot World” that summarizes his best moments during this week-end. I-Octane wants to share with his fans all the happiness that he is feeling thanks to their recognition. The official videoclip of Rope, the new Chi Ching Ching’s Single included in his debut album Turning Tables, that will be released on the 21st September and produced by Dutty Rock Productions, is online today on Youtube. We already well known the tune that has become viral among dancers in every dancehall party for the routine. We really enjoyed this shooting with Chi Ching Ching in Far West Version. Obviously, in the video you can’t miss special guests as Sean Paul and many popular dancehall Queens and dancehall Kings from Jamaica like Famous Dancer, Kimiko Versatile, Paul Energy Thompson and more, plus dancers from various countries. A year ago, Chi Ching Ching told to our microphones that he was living a different light in the life. This light seems to be even brighter at this moment in his career. And the wait for his first album is increasing more and more.